On December 12th 2013, the Federal Environment Minister Greg Hunt announced his decision to approve an application by North Queensland Bulk Ports (NQBP) to expand its coal terminal at Abbot Point. This news was a great shock to those campaigning against the project as well as the 250,000+ people who had signed a petition urging the Minister to reject the development. Under the Great Barrier Reef Marine Park Act 1975 and Environment Protection (Sea Dumping) Act 1981, the Great Barrier Reef Marine Park Authority’s role is to consider a permit application by the mining companies involved at Abbot Point to dispose of three million cubic metres of dredge material in the Marine Park. After the mandated 10 days, the GBRMPA asked for an extension to their decision. The announcement is set to be made in the coming days. The GBRMPA is meant to act as an independent body, and guardians of the reef. However, in recent years they have been accused of taking a weakening stance on industrialisation within the marine park areas. In October of this year, an investigation was launched when it was revealed that two of the board members had substantial links to the mining lobby and to corrupt former NSW Labor minister Eddie Obeid. Jon Grayson, director-general of Campbell Newman’s department, represents the state on the board. He owns a one sixth share of recently founded Gasfields Water and Waste Services. Tony Mooney is an executive at Guildford Coal, a company which plans to run six mines and funded a feasibility study into the expansion of Townsville port. Not much hope for the reef in the hands of these guys. The crucial decision relates to the location that dredge material will be dumped – onshore or at sea, within the marine park. Onshore disposal is the most environmentally safe option. The problem? It costs more. Offshore disposal can cause a host of environmental problems… but it’s cheaper. So once again it comes down to a battle of money vs. the environment. So what kind of problems does sea disposal cause? Many. The reef needs high levels of water clarity to survive. As a living organism, it needs sunlight. Murky, sediment-filled water deprives the reef of sunlight, thus inhibiting its ability to grow and develop. 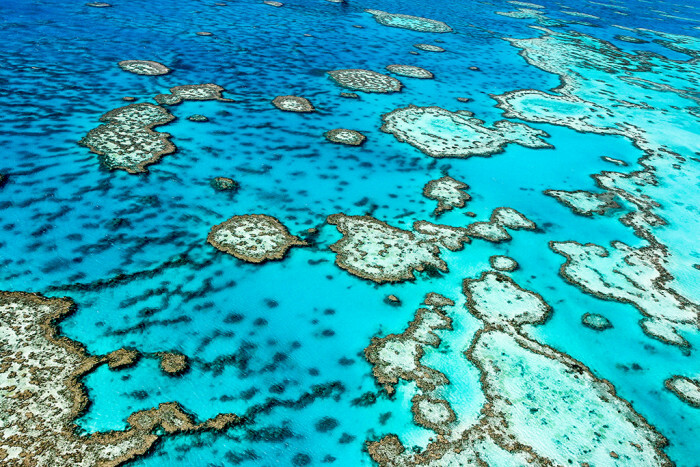 If the reef dies, so does the large and diverse ecosystem it supports. The sediment in the water settles on marine grasses, blanketing and killing them. Turtles and dugong rely on these sea grasses for food, grasses which only grow in the shallow coastal reef waters where the dredging and dumping will occur. Dredge material has the potential to travel long distances in ocean currents. While this means that points one and two will have a long range impact, it also cripples tourism in the nearby Whitsundays. Snorkelling and diving is not so fun when you can’t see anything and the famous Whitehaven beach may have to be renamed to Brownhaven. Not so appealing. All in all, dumping dredge waste at sea on the reef is irresponsible and is doing nothing to benefit Australians except increase a few billionaires’ bank balance. The Abbot Point development will happen regardless – all we ask is that it’s undertaken in the most environmentally responsible way possible. It is the Australian people who will ultimately suffer, while Gina Rinehart and her Indian cohort are laughing to the bank. Please send your message to the GBRMPA here and urge them to make the right decision for all Australians.